Do you want to be comfortable in your wig? Do you want to have a more natural looking hairline or part, keeping others from knowing that you are wearing a wig? You can achieve this look pretty easily. Seen on celebrities and famous people everywhere, lace wigs are all the rage now because of their invisible hairlines. They look so natural that anyone can wear them without others knowing it's a wig. These particular wigs are perfect for those who might be looking to change their look but keep it natural looking at the same time. Lace front wigs are some of the most popular wigs because they provide the most natural look for wig wearers. This special hairpiece consists of either synthetic hair or human hair which is tied to a sheer lace piece that fits over the scalp of the wearer. Because of this proximity to your scalp, you have a more natural looking hairline and part. It is because of this natural look that these wigs have become the more popular style of wig for wearers everywhere. Lace wigs consist of two different materials which make them comfortable and natural looking. 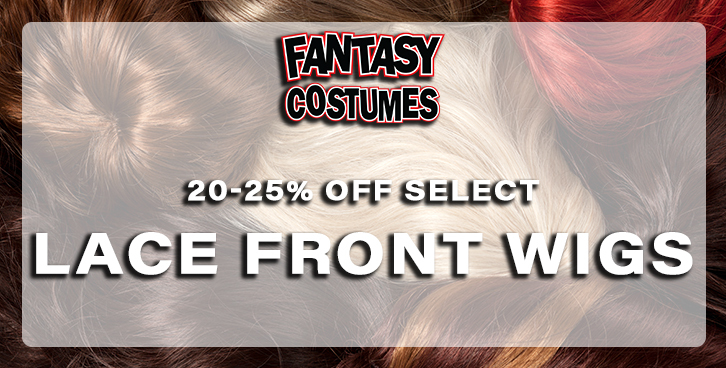 These wigs contain either synthetic hair or real human hair, giving you plenty of options when it comes to styling or care. The hairs are then hand-tied onto a lace base made of sheer material. This lace base is pulled over the scalp of the wearer, pulling the hairs closer to the scalp. The materials used to make these lace wigs are usually comfortable enough to be worn for hours or even all day. There are several amazing benefits to having a lace wig. If you are searching for the perfect wig to look like your natural hair, then you have found the right style. Though the natural look is only one of the benefits, it is the most common. Another of the amazing things about lace wigs is the comfortable base which fits snugly over your scalp. This base is both sheer and styled to give you the most natural looking hairline possible while still being comfortable. These wigs often last for a while if they are taken care of properly. Depending on the hair you buy, your care and usage will vary. Everyone has seen the celebrities change up their hair like they change clothes. Most people, if they are like us, wonder how the celebrities can change their hair so often without damaging it. Many celebrities wear wigs, specifically lace wigs, which pull the hair close to the scalp to create a natural hairline and part. There are many lace companies that provide these wigs, and you can find them in both synthetic and real human hair pieces. If this is something you are interested in, there are many different lengths, styles, and colors. You can have a gorgeous new look in no time.